HootSuite users will see significant changes to the social media dashboard today beginning with a completely refreshed HTML5 user interface, plus geo-located search, native Twitter ReTweets, and integrated Google Analytics. With the recent announcement of Google’s HTML5 site and many other brands like Apple on-board, HootSuite has made a substantial investment in this new technology standard. HTML5 allows us to release unique features like geo-search and drag & drop, plus improve performance with quicker tabs and streams. Now, search for tweets by proximity based on geo-location information sent by some (not all) users. Using this HTML 5 powered feature, you can narrow down results to messages sent from your area, wherever you are. This feature will help you learn about local resources, get tips while traveling, and find new customers or followers. Most noticeable is a fully re-imagined dashboard, with more space for updates and an intuitive arrangement for HootSuite’s many features. Additionally, you can now choose a design theme which suits your tastes. Options include the familiar green & blue “Classic,” the sleek & stunning “Blue Steel,” or the darkly cool “Magnum.” Which one will you choose? Switch at your leisure to find your favorite. Include a photo when you upload a link to Facebook, and then add titles and descriptions to make your update more meaningful and inviting. BTW, this media preview functionality was one of the most requested features on the Feedback Channel. Another popular request? More keyboard shortcuts. We delivered: SHIFT+ENTER now sends your message to save you another mouse click. Stay tuned for more keyboard shortcuts to come. When Twitter launched, early users created shorthand to define actions and attributes, including @replies for addressing, #hashtags for context, and RT for Re-Tweeting or quoting a message. RT-ing became a powerful way to spread messages beyond users’ local networks. To standardize the process, Twitter.com added an auto-Re-Tweet functionality, which HootSuite has now integrated. 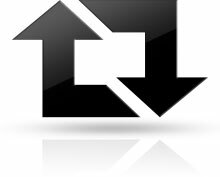 HootSuite users can choose whether to Re-Tweet with initials “RT” or to use the Twitter native auto-Re-Tweet tool. We can now check this one off the feature request list too. Google Analytics users no longer need to switch screens to analyze site traffic and performance because all the data is now available in HootSuite’s dashboard. Using OAuth secure login functionality, you can track conversion to sales, lead generation, or other metrics from your Google Analytics, using advanced URL functions. Quickly attach an image or other file to your social update by dragging directly from the desktop and dropping into the message box — this simple act will auto-upload the file to Ow.ly file sharing and add a pre-shortened link to your message. 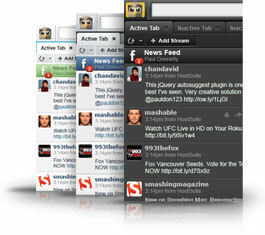 Then you are ready to send your enhanced note to any of your social networks. This release also features interface localization in Japanese, allowing more users to enjoy HootSuite in their native language. 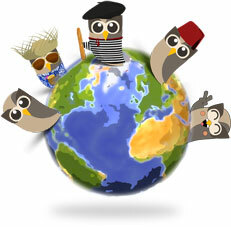 More linguistic choices are coming soon, to spread the international enjoyment. The social conversation happens in real-time, so you don’t want to wait for pages and messages to load. Using HTML5 technology, HootSuite engineers tuned performance to make the web application more responsive — including caching to eliminate reloading when a user switches tabs. This performance upgrade is especially useful for companies managing dozens of social network profiles with large teams of users. Listening and learning from HootSuite’s userbase is an important part of making decisions which meet the needs of social media marketers and enthusiasts. 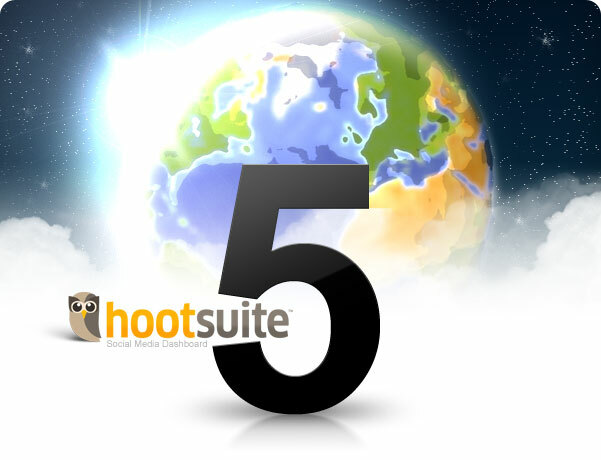 HootSuite offers assistance via a Help Desk and and gathers opinions via a Feedback Channel. With the new release, these channels are easier to access directly right from the HootSuite dashboard. We invite you to share your ideas, and to enjoy a sense of pride when your requested feature is added to a future release. The World Cup football/soccer tournament in South Africa has shown the worldwide popularity of Twitter as fans everywhere document their opinions and the nuances of each match. This popularity is also evidenced in the massive demand on Twitter’s systems especially at gametime. Keep tabs on uptime and performance via Twitter’s status blog and API Status on dev.twitter.com.